Home / Holidays / Holy Week / religion / Technology / Travel / Virtual Visita Iglesia / Are You Ready for Virtual Visita Iglesia? Are You Ready for Virtual Visita Iglesia? The Holy Week commemoration in the Philippines is full of rituals, practices, and traditions like Visita Iglesia where devotees take to time to visit and pray in 7 or more churches near their respective areas. It is usually done in a day and normally on Maundy or Holy Thursday but some will take days to do it before Easter Sunday. In the beginning, the aim of this tradition was to pay respect to the Blessed Sacrament at the time when Jesus Christ instituted the Sacrament of the Eucharist. Visita Iglesia was introduced by the Augustinian missionaries during the 15th century. There were many theories as to the origin of this Holy Week tradition and the most accepted was that it pervaded during the Roman Empire as a commemoration on the death and suffering of Jesus Christ When Christianity was declared as the official religion during the Roman Empire during the reign of Emperor Theodosius 1, it evolved to the current practice of visiting 7 churches. 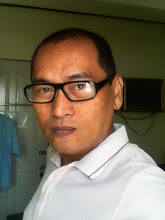 At present here in the Philippines, the tradition now became more on leisure instead of religious in nature as it is now a source of bonding for families or friends. Some take time to perform this tradition in order to see the church and not to pray but to take pictures or selfies. And it has become a reason for many to travel to other places in the country just to visit churches and enjoy their vacation at the same time. 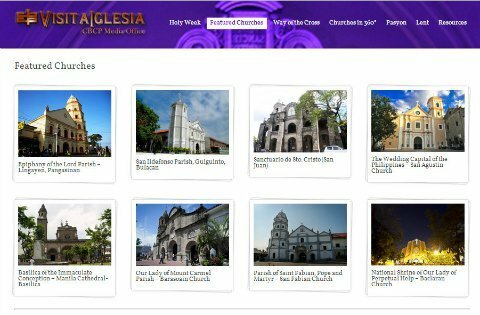 Recently, the practice of Visita Iglesia had a makeover in the country as the Catholic Bishop Conference of the Philippines launched visitaiglesia.net and some other similar websites. This move has allowed devotees who are sick or are working as OFW’s for example to still practice the tradition without physically entering a local church. In 2014 alone, the site has logged on more than 90,000 visitors. This makeover offers convenience to devotees who cannot physically go to church. What is amazing is that there are more than 40 churches listed in the menu and with the click of the mouse or tap on the screen, one can enter the church and perform rituals like reading prayers or offering prayers. One can also perform the 14 Stations of the Cross ritual . Of course, nothing beats the pure joy of an actual visit to different churches. If there are still people who frown on Virtual Visita Iglesia, then they need to be reminded to open their minds and accept the reality that technology will eventually change some of the things that we do.